MURRIETA, CA (February 17, 2015) — The Kurt Caselli Foundation is proud to announce the release of its first officially endorsed safety product, the Giant Loop Tracker Packer, a ruggedized holster for the SPOT Gen3 GPS-enabled location tracker and emergency beacon. Developed in conjunction with The Kurt Caselli Foundation, the super rugged and secure Tracker Packer firmly attaches the SPOT Gen3 device to the rider's arm, backpack shoulder strap, handlebars, fork tube, and many other locations. Redundant closures, multiple connections, and tether points, help prevent the SPOT from becoming separated from rider or bike, even in the roughest, most extreme riding conditions. The Tracker Packer enables riders to follow best practices by wearing the SPOT within reach, in a horizontal position for optimal satellite signal. By keeping the device in a visible, easy-to-access location, anyone on the scene can quickly deploy the SPOT's SOS signal in the event of an emergency, sending the GPS location to an international emergency response coordination center. "It has been a pleasure to work with Giant Loop and take the Tracker Packer from just an idea to a finished product" says KCF Rider Safety Adviser, Quinn Cody "This is our first mission related safety product and thanks to a great group of motivated people, we have been able to bring it to market in less than a year." Made in USA with military-specification components and materials, the Tracker Packer is backed by a limited lifetime warranty. USA MSRP is $40. The Tracker Packer is available bundled with the SPOT Gen3 for $150 exclusively at Giant Loop a portion of all Tracker Packer sales will be donated to the Kurt Caselli Foundation. 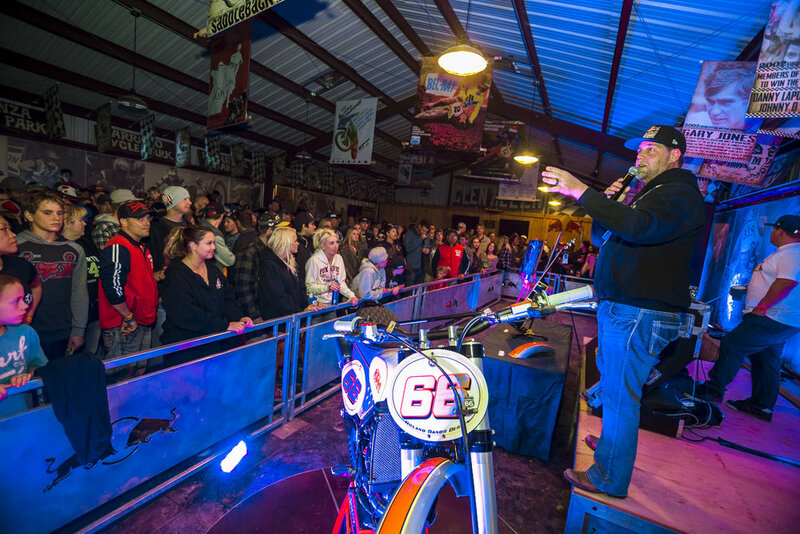 The Kurt Caselli Foundation wrapped up a successful but busy weekend with three events in two countries. The KCF took on the SCORE San Felipe 250, Round One of the AMA Youth Hare & Hound Series and Round One of the AMA National Hare & Hound Series. First up was the SCORE San Felipe 250 in San Felipe, Baja, Mexico. Members of The KCF traveled to San Felipe on Thursday to be on hand for the pre race technical inspections and help SCORE educate riders and drivers on the proper use of their satellite tracking devices. The KCF also held a special 'motorcycle only' riders meeting to promote rider awareness and answer questions about the dangers faced during competition. For the fourth time in less than a year, The KCF had its official Opening Vehicle on hand to help clear the race course ahead of the lead motorcycles. We are well aware of the fact that racing accidents are sometimes unavoidable and unfortunately this event was no exception, however, The KCF is determined to analyze each of these incidents and work towards reducing risks outside of the rider's control. 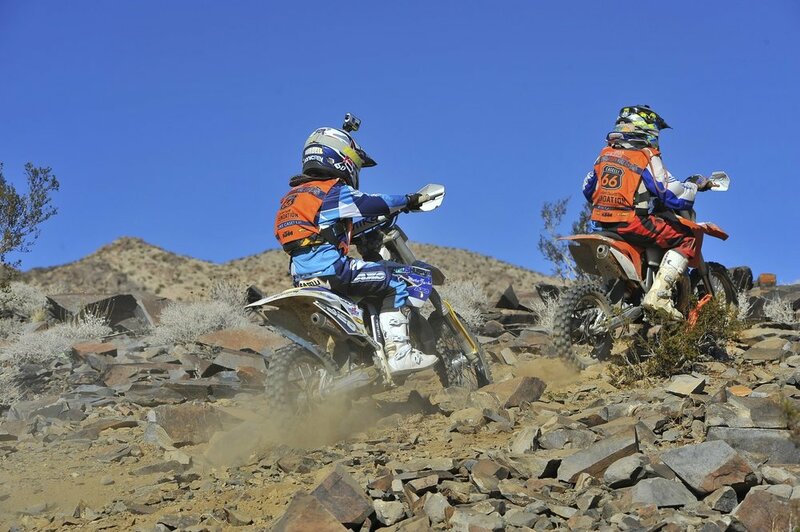 Saturday January 24th marked Round One of the 2015 AMA Youth Hare & Hound Series presented by The Kurt Caselli Foundation, in Johnson Valley, CA. The KCF Members were on hand to pass out high visibility bibs to each racer as well as hold a special youth racers clinic before the event. 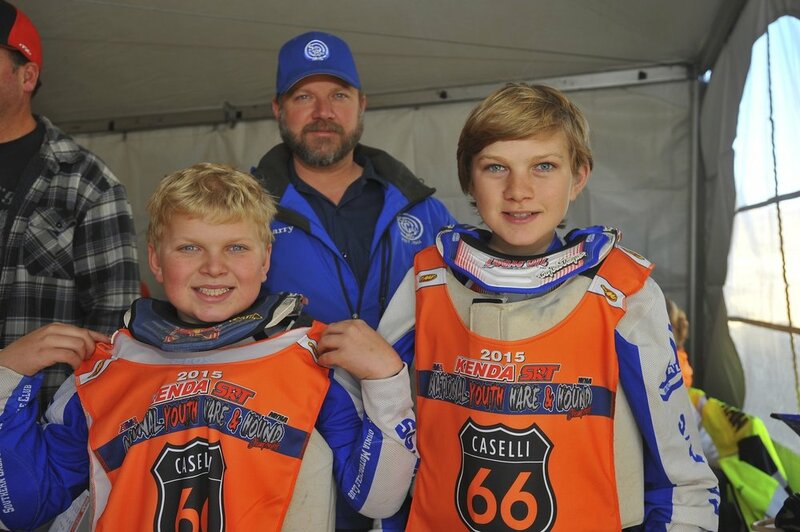 The Kurt Caselli Foundation is dedicated to supporting the future of off-road racing by helping to educate and protect these young racers well into the future. Here is some great Go Pro footage of Robby Bell from the 2014 Baja 1000. At 4:08 in the video you can see Robby come around the corner and notice The Kurt Caselli Foundation heli flying very low. While sweeping for the lead bikes the heli noticed two horses in the road and flew low to scare them away and to let Robby know to be cautious. It was a very tough week but when we started The Kurt Caselli Foundation, the goal was to make events safer for riders. In less than a years time the KCF has made huge strides with the support from all of Kurt's fans. We had many initiatives at this years Baja 1000 but the biggest being able to provide a pre sweep helicopter equipped with Dr. Alexander to follow the lead bikes and to provide any assistance needed. We feel we have made a big impact to make the sport safer and we hope you continue to support our efforts. Thank you!!! Our support did not stop with the kids as The Kurt Caselli Foundation is proud to name Paul Krause as Official Course Marshall for the entire 2015 AMA National Hare & Hound Season. For the first time in the history of the series, Paul took to the course on Saturday morning to check the suitability of the race course markings. Paul will be working along side the series promoter and hosting clubs to help bring a standardized racecourse marking system to the Hare & Hound series. Desert racer Paul Krause is one of the most decorated off-road racers of all time, as a multiple Baja 1000 winner, Paul understands the risks faced by top racers. The Kurt Caselli Foundation is proud to have Paul on board. The Kurt Caselli Foundation would like to thank all of our generous donors and partners for helping with our mission of protecting and supporting the lives of off-road riders. All proceeds will benefit The Kurt Caselli Foundation "Protecting And Supporting The Lives Of Off-Road Riders"
The painting that sold for $11,000 of Kurt Caselli that was done live at the event. The auctioneer and the Caselli custom bike. Ben Bryan the top bidder on the painting. Roland Sands talking about the custom bike. Ivan Ramirez and dad with Cameron Brewer and Roland Sands. Ivan Ramirez and dad who were top bid on bike. In honor of Kurt Caselli, Matrix Concepts is proud to make this special stand available with the net proceeds going to The Kurt Caselli Foundation to support their mission to make off road motorcycling safer. Click the image above to purchase the Kurt Caselli 66 Edition of the M64 Elite Stand. • Injection molded from high strength lightweight composite polycarbonate plastic. • Extra wide feet prevents rocking making this design very stable. • Removable replaceable top pad. • Design includes four rectangle anti flex support tubes. • Bolted together with stainless steel fasteners. • RTL : $125.00 EA. To Join Team Matrix: We are now accepting 2014 Rider Resumes. Palmdale, CA - With the help of a generous donor, The Kurt Caselli Foundation has taken a bold step in increasing rider safety by partnering with the Asterisk Mobile Medical Center and donating a new Sonos Military Spec Ultrasound machine to the Asterisk Medical Team. Through this new partnership, The Kurt Caselli Foundation will now have access to the best medical response team in off-road motorcycling. Led by John Bodnar M.D., the experience and expertise of the medical unit personnel provided to the U.S. Supercross and Motocross Teams can now be shared and implemented into off-road racing series in the future. Furthermore, the foundation will have access to the concussion management research and ImPACT baseline testing currently being undertaken by the Asterisk Mobile Medical Center that can be applied to help rider safety in all racing disciplines. While the Asterisk Mobile Medical Center has been fully financially supported in the past, in recent years this support has fallen off, and left the unit underfunded. The Kurt Caselli Foundation has stepped in to provide an important medical machine that could prevent another death due to internal injury, like Kurt Caselli sustained while racing the SCORE/Baja 1000.